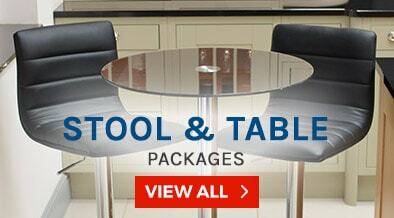 Simply Bar Stools is a local business based in Tetbury, Gloucestershire. In just over 10 years we have grown to become the largest supplier of high quality bar stools within the United Kingdom. 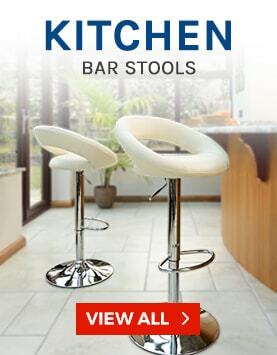 We currently have over 30,000 bar stools in our stock and the largest range and variety to choose from in the UK! 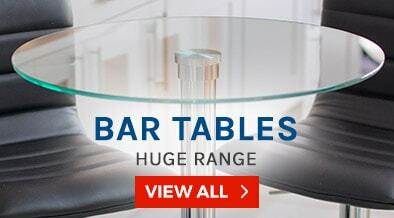 Our wide range of bar stools are very much suitable for both consumer and commercial environments. 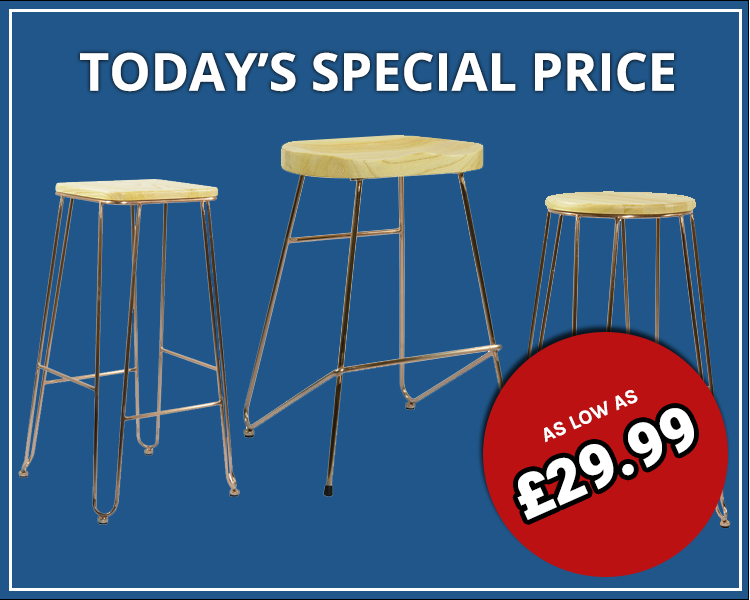 The result of this is that no matter the occasion you are sure to discover the perfect stool for you! To start you on your journey through the site we recommend one of our best selling stools we have to offer: our Zenith range of bar stools. This is our most popular range due to its beautifully sleek and modern design, comfortably padded faux-leather seat and an ergonomic back rest all beautifully finished off with a brilliant chrome finish stem and base. Available in multiple great colours it’s the perfect starting point . However this is just a start; there is a vast world of bar stools waiting to be discovered. 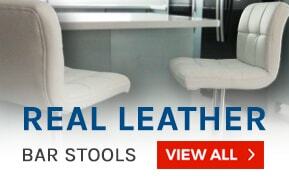 We pride ourselves on our high standard of customer satisfaction; this is why we offer many different services such as our free next day delivery on orders placed before 4pm, our 12 month warranty on any sale no matter the size and our 14 day returns period, making getting the perfect stool as easy as possible. As well as all of this we boast an expert customer service team ready and waiting to answer any and all queries you may have. If you need any help or information then please don’t hesitate to call our support team on 0117 330 2277 or use our 24/7 live chat. We are happy to help. Stools came in perfect condition only days after my order was placed, found exactly what I needed with ease and the customer service is great! Thank you guys for the quality service, really fast delivery and I'm really happy with the result! Really surprised at how easy this website is to use, fast delivery and high quality products that fit my kitchen perfectly, couldn't have asked for more. 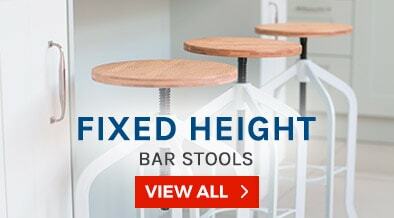 Here at Simply Bar Stools all of our stools are manufactured and tested to achieve the highest quality possible, a long lasting build strength and a style perfect for any occasion you can dream of. 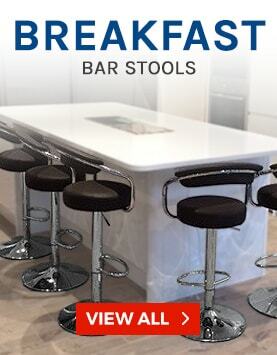 We have a wide range of stools perfectly suited to your breakfast bar, kitchen, office, bar, exhibition, presentation, outdoor areas and so many more! 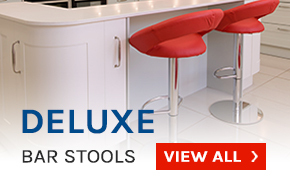 Our wide range of kitchen/breakfast bar stools include those with plastic, vinyl, wooden, leather and faux-leather seats and the choices between gas lift, swivel lift and fixed height stems. You name it, we’ve got it! Why look any further? Our deluxe range of stools is truly a cut above the rest being manufactured with a sense of style and sophistication in mind to ensure anyone buying these stools will be left truly satisfied. Our vintage collection of stools has been lovingly designed with a sense of tradition in mind, sure to give you the best classic designs with a subtle contemporary twist. Our exhibition range of bar stools are our most prized and beautifully designed bar stools we offer; this is why we believe that they are perfectly at home in a museum exhibition or a presentation setting. Our range of Zenith bar stools are our best selling stools on the site due to its beautifully simple yet elegant design. This elegance is carried throughout the whole stool from the ergonomic and comfortable padded faux-leather seat to the rounded chrome finish base and foot rest. 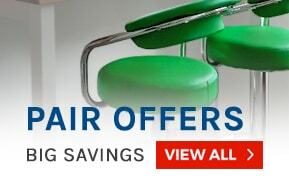 Also high up on our list of best sellers is our range of Carcaso stools. This has a high spot in our best sellers due to its contemporary yet timelessly classic design with it also boasting a padded leather seat and comfortable backrest and the same stylish chrome stem and foot rest combination as before. Our final spotlight goes to our Sorrento range with its truly modern curved aesthetic and its high quality leather seat. The curve of the seat makes it one of the most comfortable stools we have to offer and it has even featured in the ‘Beautiful Kitchens’ magazine..
Lamboro is our very own brand for bar stools and tables; they’re almost exclusively stocked and sold by ourselves. 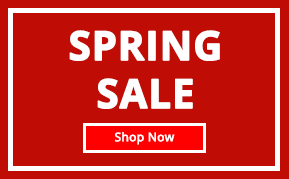 We proudly supply a number of large brands with our Lamboro range and we pride ourselves on the high standard for quality we possess in each item of each range we stock.